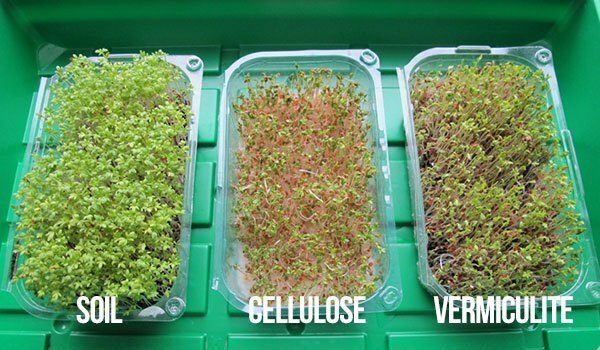 Home » Is It Smart To Grow Microgreens Without Soil? 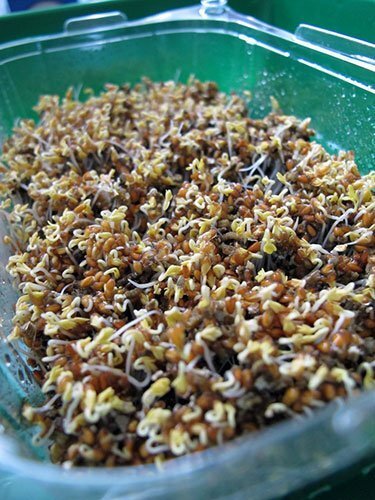 An Epic Gardening reader who grows microgreens recently emailed me and let me in on a little experiment he was conducting. You see, he’s always been into growing microgreens hydroponically, but wanted to test and see if there were better ways to grow microgreens. So he set up an experiment. His name is Darko, and he lives in Slovenia. 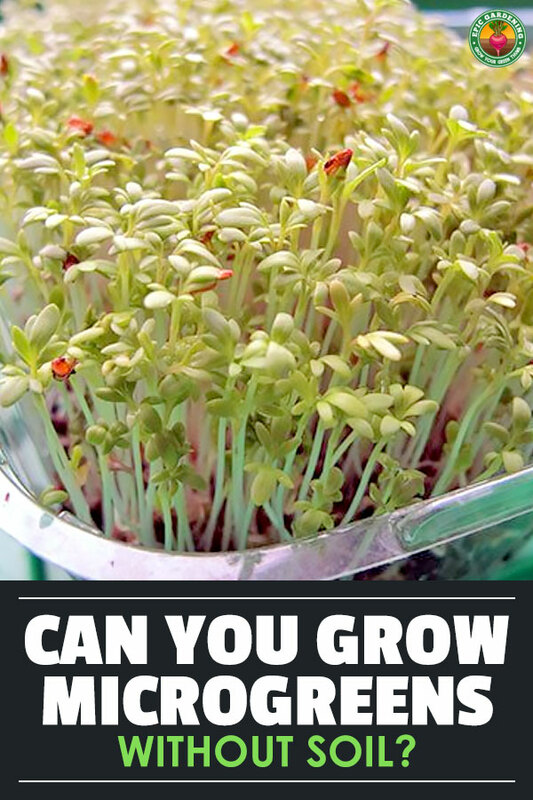 He’s been growing microgreens for quite a while now and is very experienced. I love his experimental nature though…and the results of this test are pretty incredible! If you want to contact him directly about this experiment, email him at darko@aeiforia.si. I was using plastic containers measuring 3.9×7 inches (10×18 cm). One was filled with special soil for herbs, second with cellulose pulp (sulfite hardwood cellulose pH below 6.5) and third vermiculite. 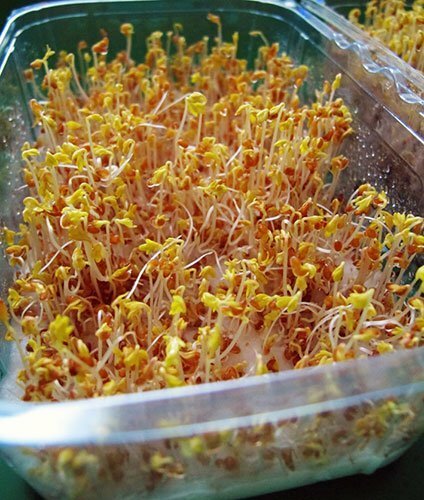 In each tray, I used cress seeds. 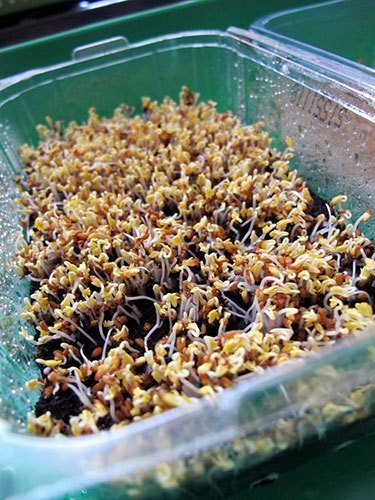 Soil: 0.16oz of cress seeds. 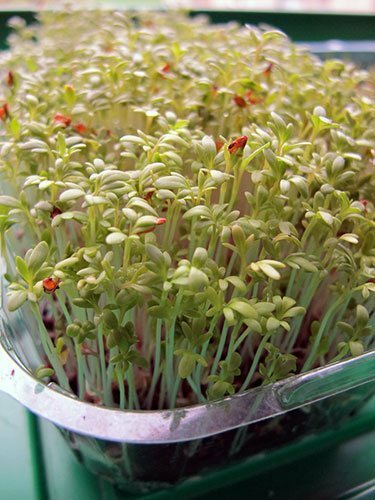 Yield was 0.96 ounces of cress microgreens after 4 days. 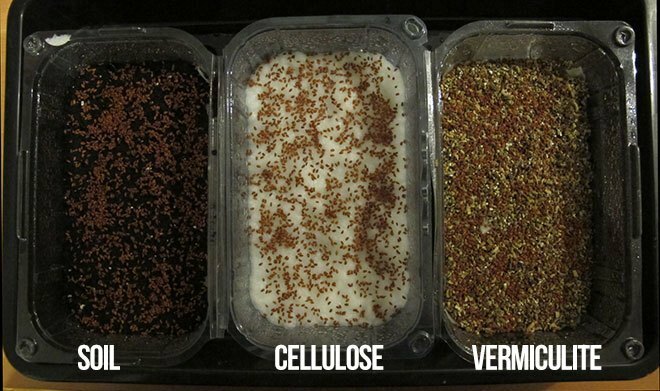 Cellulose: 0.13oz of cress seeds. Still waiting to harvest. 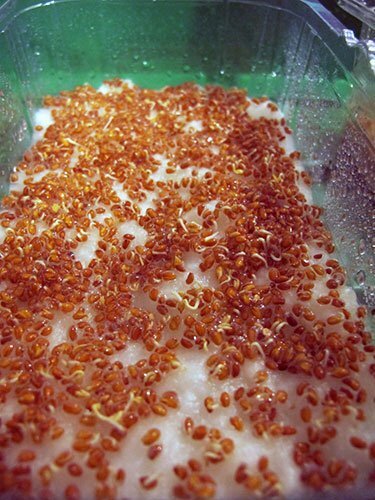 Vermiculite: 0.15oz of cress seeds. Still waiting to harvest. All containers were watered from the side. 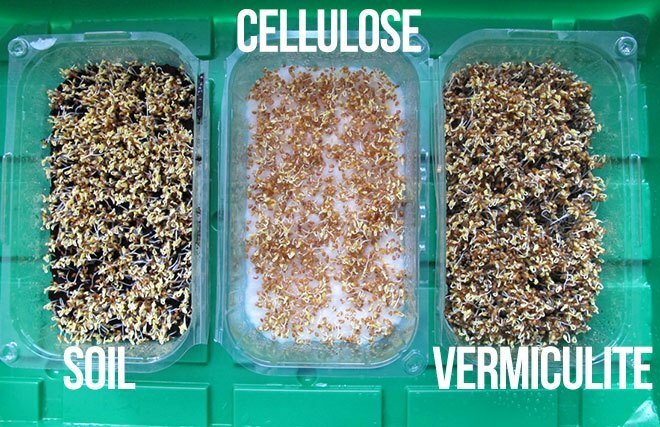 Cellulose: Cellulose does not need watering because there is a high water retention which is in my opinion the main reason for slow growing. Soil: I noticed a bit of mold on the soil. Maybe I should remove cover after 1st day, or maybe I should use peroxide on soil also. Cellulose is too moist and seeds having a problem getting roots in to it. 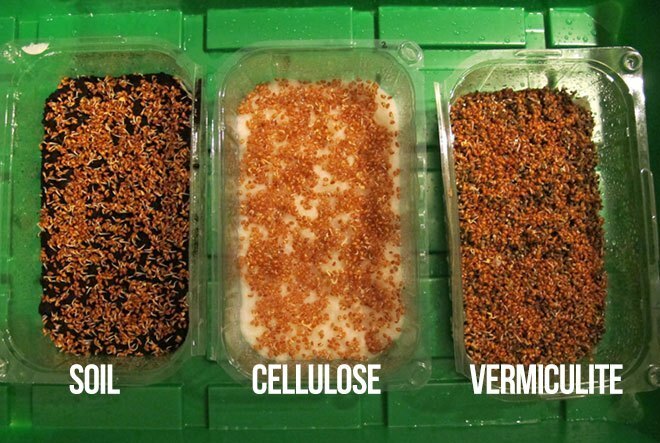 Vermiculite should be mixed with perlite. 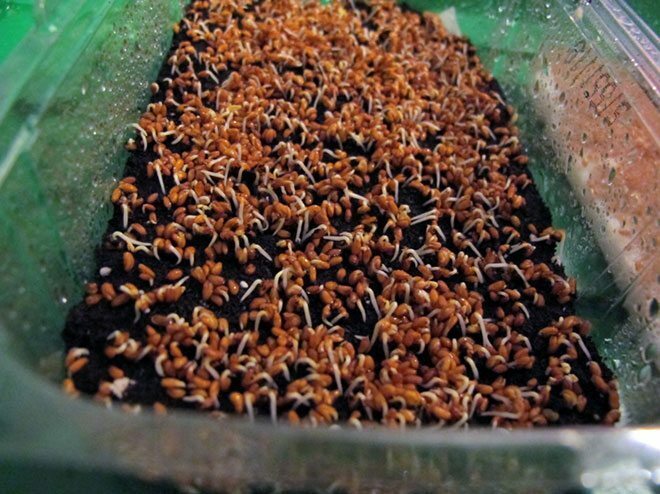 Also should test a mixture of soil and vermiculite and of course also other seeds. The result? Soil wins for now. Liked this experiment? Leave a comment! There are more experiments coming soon as well, so stay tuned. Thank you so much!!! SO helpful! Good idea! 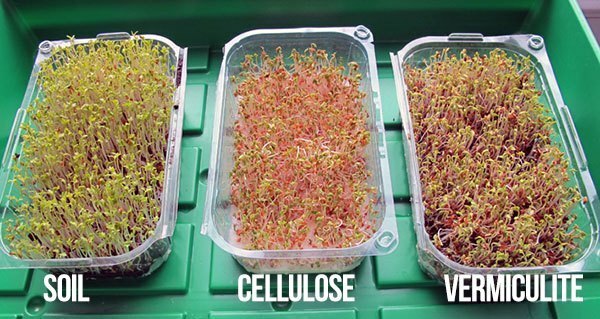 I still prefer soil for my micros, but we can give this a try. Thanks Sam! Any luck with hemp micro green growing? As in growing on help as a medium? 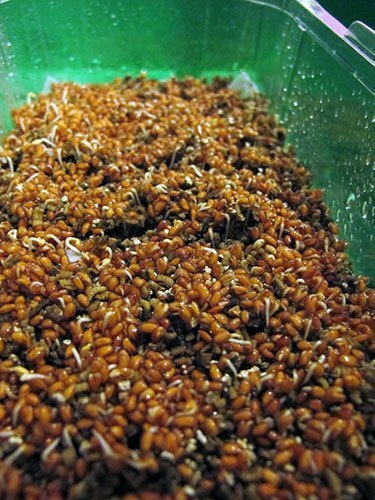 Or actually growing hemp microgreens? 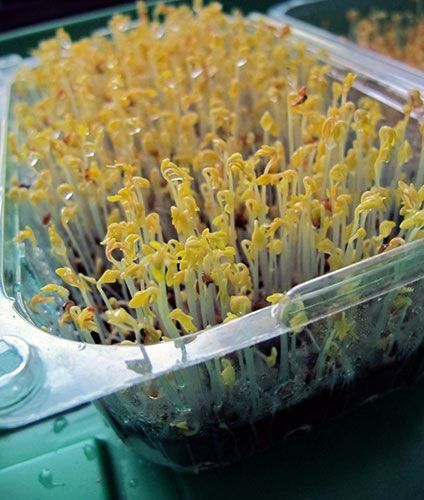 As in growing hemp microgreens. There is an APP that tells you all about how to grow quality, mold free, high and fast yielding hydroponic microgreens. It’s called ‘Microgreens’ and it is available in all APP stores. It’s very comprehensive and helpful! Great! Thanks for the rec. Stacey. 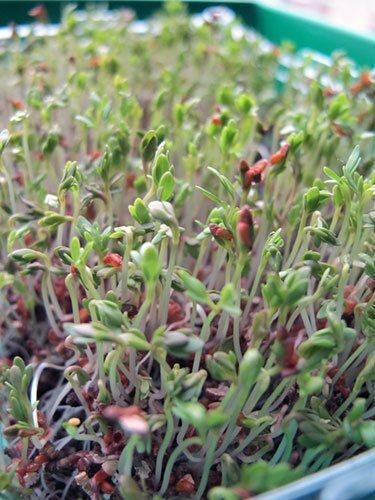 Oddly I am not finding it in the Apple app store…I searched terms related to “Microgreens” – any update here? The cellulose has very little nutrients readily available, if he’s not watering it then he’s not adding a nutrient rich hydroponic solution. If he knew there was high water retention then it should’ve been apparent to add more water to begin with. I’ve been researching this stuff all summer long at the INL; this sounds like a poor experiment. The main problem I am having is the seeds sprouting and the roots not penetrating into the soil. half or more of them are just sitting on top of the soil and then get burned and die when they go into the light. I am using a mix of 50/50 coco and peatmoss with perlte. any suggestions?? am I pressing to the soil to hard? should i add sand to the soil? Are you making sure that the soil is uniform? 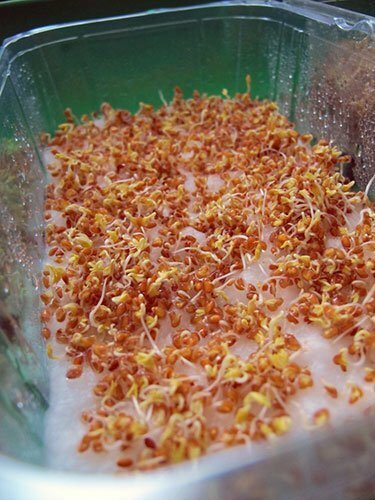 I like to pat it down with a cardboard sheet so it’s all the same level, then spread the seeds and wet them with water. Never had any issues with that method. I have been experimenting using layers of paper towel as the growing medium compared to potting soil. The soil definitely grows faster, but the paper towel-grown has the benefit of not having dirt in the greens, my biggest problem. I tried towels over dirt so the roots could get through into the dirt, but every one had mold. So here is a question: what about the food value of MGs grown in dirt vs other mediums? Dirt in the greens is an issue, but I usually just cut above where any dirt would be during harvest and I’m good. I feel like if you’re growing past the point where your micros use up cotyledon (seed leaf) nutrition, you will want to grow in soil where they can get extra nutrition and not become bland. Hi! I also had the problem of mold. It stems from waterlogging if you water from above. Instead, you should try to water from below (using Containers with holes in the bottom) or from the side (like a DFT Hydro System, kinda). I use it, but sparingly – check out my guide by searching in the search bar. Great article. It’s cool to see a side-by-side comparison like that. 🙁 Sad results, but good to know. I found the same thing happened with my cellulose test runs. IT HOLDS TOO MUCH WATER! Yah cellulose gives me the same issues with mold and water retention. CocoCoir is where it’s at. Absolutely boss article btw, this is such a great comparison between mediums. 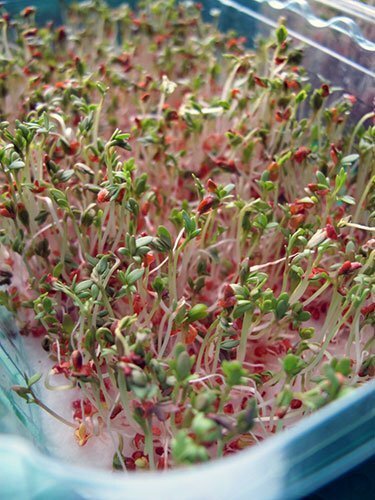 It would be good to know how you watered your microgreens. From the top? That’d be the cause of mold .